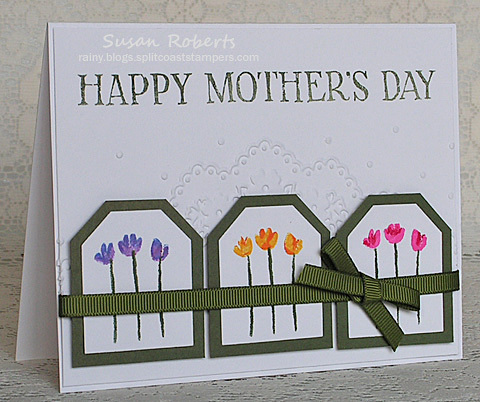 In the past I have created similar Mother’s Day cards for my mother-in-law and my 2 daughters-in-law. The only difference in the cards would usually be in the color(s) used. This year, however, they use different images and are all unique… made special for each woman. The cards being shared today are for my daughters-in-law. I love both of them so much and am so grateful for the wonderful mothers that they are to my precious grandchildren. The image panel has been popped up on foam tape and some scalloped lace tucked under the bottom edge. 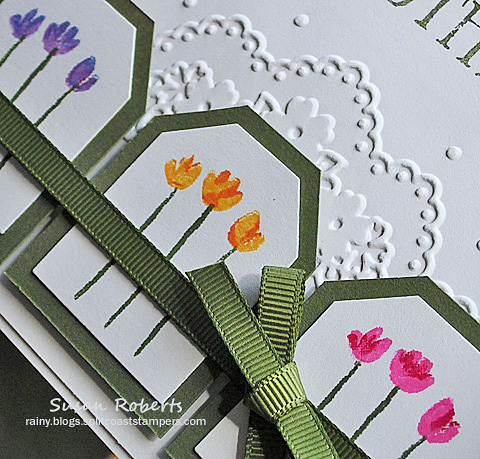 This card has been entered into a few challenges. 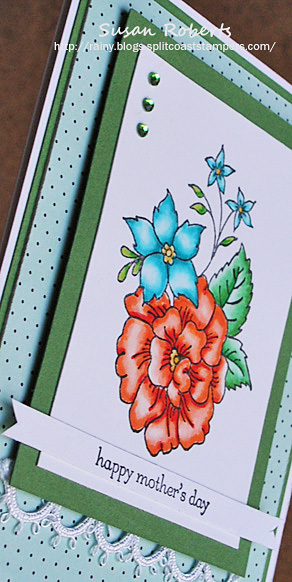 Had fun with this little flower image by stamping it twice in each “color.” The first time the image was completely inked with the lighter tone and then stamped. Then, using a marker, a slightly darker tone was applied on just part of the image and stamped over the lighter tone. It’s a 2-step image with just 1 stamp! 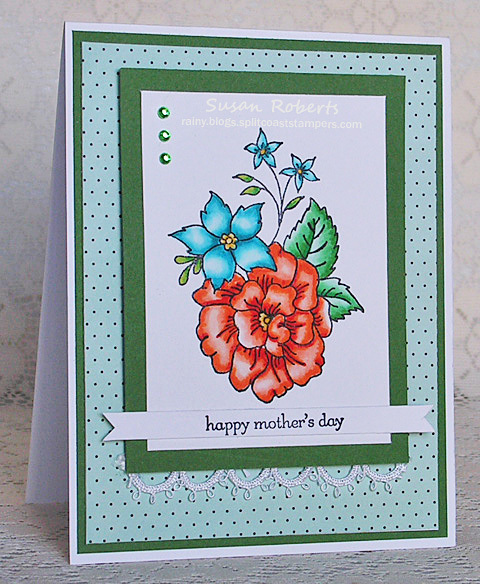 This card is playing along in the Splitcoaststampers Featured Stamper Challenge #430.